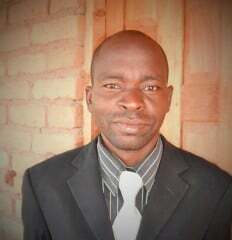 I am Pastor Henry Kadzuwa from Phalombe in Malawi. I came to the Lord in 1996. I was raised in a family of 9 children. From my earliest rememberance, we never read the Bible or heard about salvation at church. My parents feared witchcraft to the point that my father always visited witchdoctors to get charms for our protection from evil influences. Unfortunately, my father divorced and we were hopeless. But God was preparing me for His word. It's when we heard of a group of people who would pray and confess their sins to God through Jesus and not to priests or pastors and then get saved and become protected from evil influences. After attending for some time, I finally repented of my sins and surrendered my life to God who saved me and changed my life around. My father's divorce left my life miserable, but after being saved, it seemed I owned everything. I had deep settled peace in my heart. I had nothing to worry about. God took care of every problem I had. I have gone through a lot of troubles but God has seen me through all of them. It's wonderful to be saved and see others saved because of you. It's wonderful to serve the Lord. At church, I was given the role as Sunday school teacher where I also teach during mid-week meetings and open air meetings. We started a youth ministry where I am the youth pastor for our branch church. I have seen God work in a tremendous way at all my 10 church branches and other 7 churches and ministries where I have been reaching people with various materials including KJV Bibles, books, documents, and sermons which have impacted myself as a teacher and pastors, bishops, apostles who have again given me courage through their feedback at how God is working at their ministries because of the materials we have been receiving from America. I am working hand in hand with these church leaders. I have been invited many times to teach on the Last Trumpet, Jesus came to heal the broken hearted brochures the 666 surveillance system and other materials by pastors, apostles, bishops and other church leaders. I pray God will continue to work in us to prepare Christians and ourselves for the coming return of Jesus Christ.